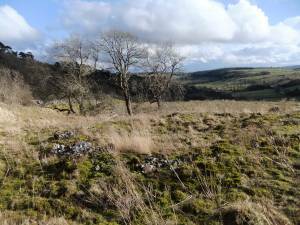 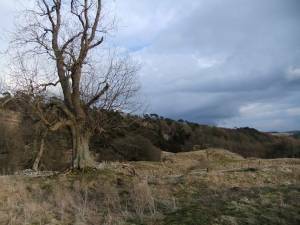 Record Name Relict Limestone Ash Woodland with Yews on and below Orgate Scar: Part Two: The final surviving ash trees. 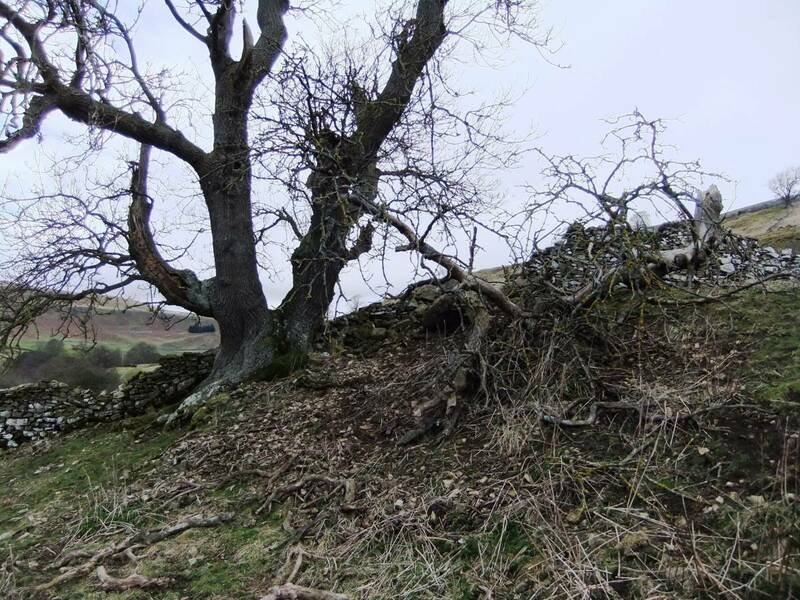 Record Description This record is the second of five records which together are intended to provides a photo portrait of the relict woodland which survives on and below Orgate Scar from the western end of the Scar at NZ09000200 to the wall which forms the boundary between Orgate Scar and Clints Scar at NZ09520208. The five parts are defined as follows. 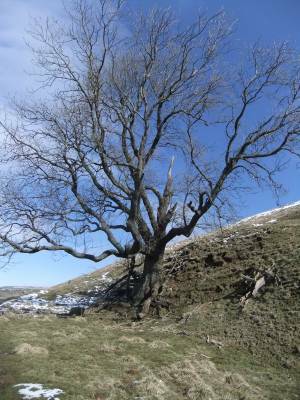 SWAAG Record Nos 195 and 700 Part One: An introduction to the Ash and Yew Dominant Woodland on and below Orgate and Clints Scars as seen in Early Summer and in Late Winter. SWAAG Record Part Two: Relict Limestone Ash Woodland below Orgate Scar and comprises photofile of ash trees selected to be representative of the final survivors of species rich limestone ash woodland once present across the whole of the fell side below Orgate Scar, now open rocky scree and flower rich stony pasture. SWAAG RECORD Part Three: Four very large Yew trees rooted at the top of the limestone scree below the cliff. 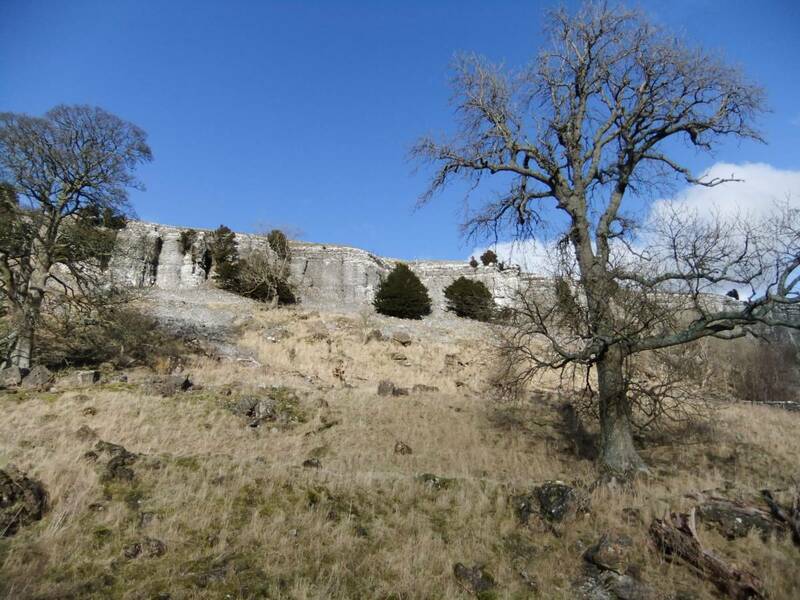 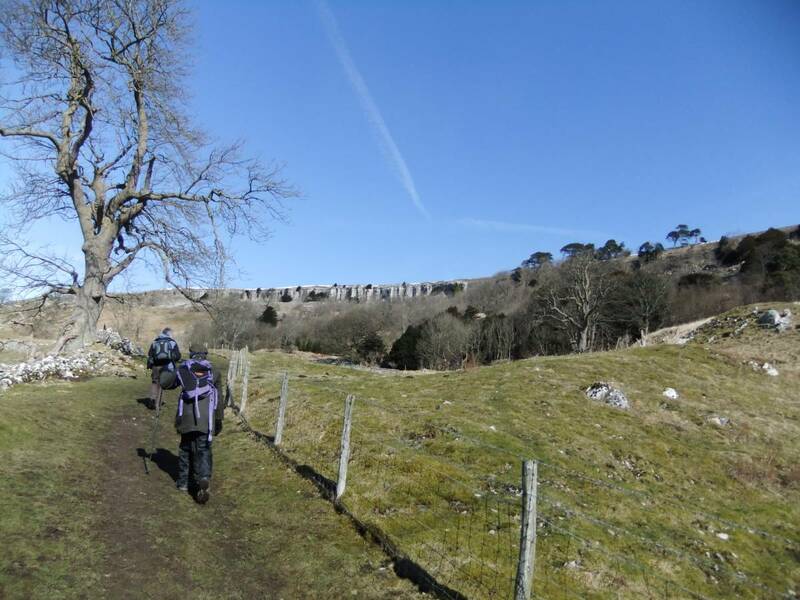 SWAAG Record Part FOUR: The Cliff Edge Yews and Trees of Other Species on the face of Orgate Scar. 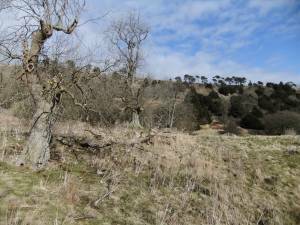 SWAAG Record Part FIVE: The vegetation on and below Orgate and Clints Scars. 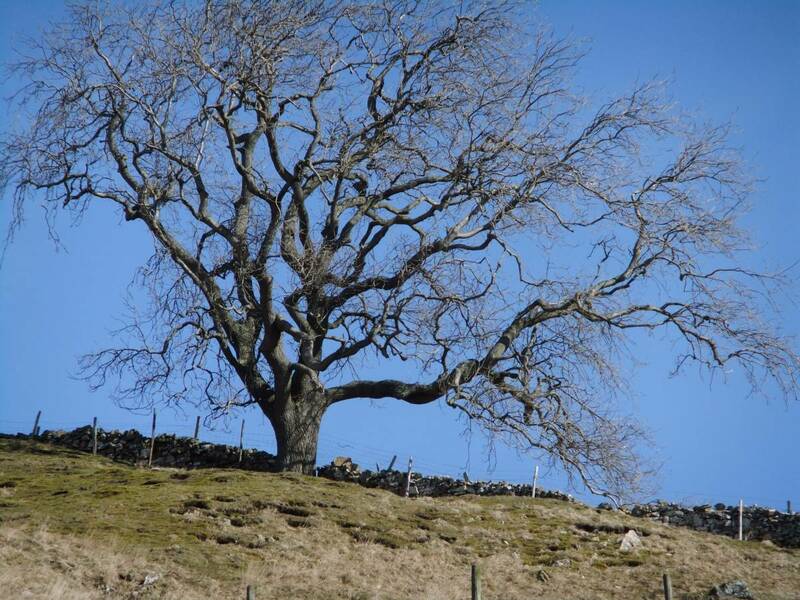 Additional Notes The ash tree is the tree most characteristic and special to the scenery of the Dales and in the event that these trees are decimated or lost completely to the imminent scourge of Ash Die Back Pathogen, the dales scene will be very different. 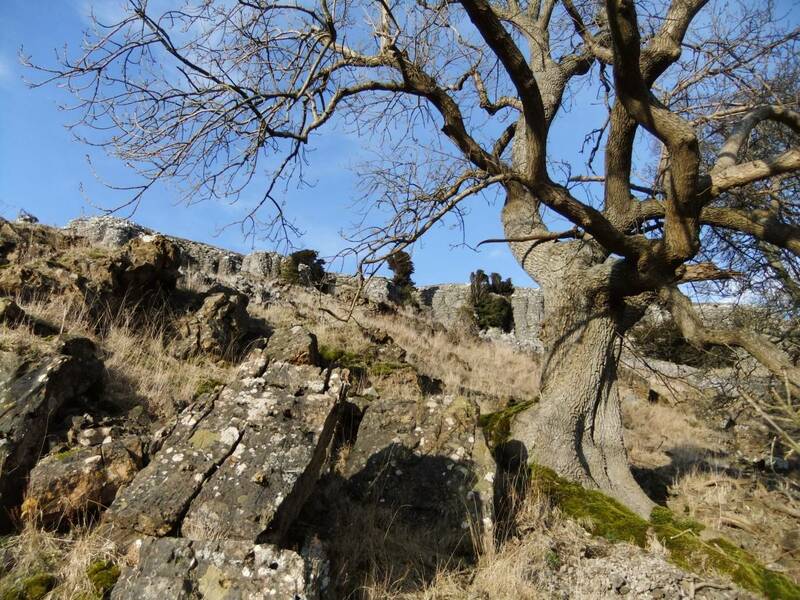 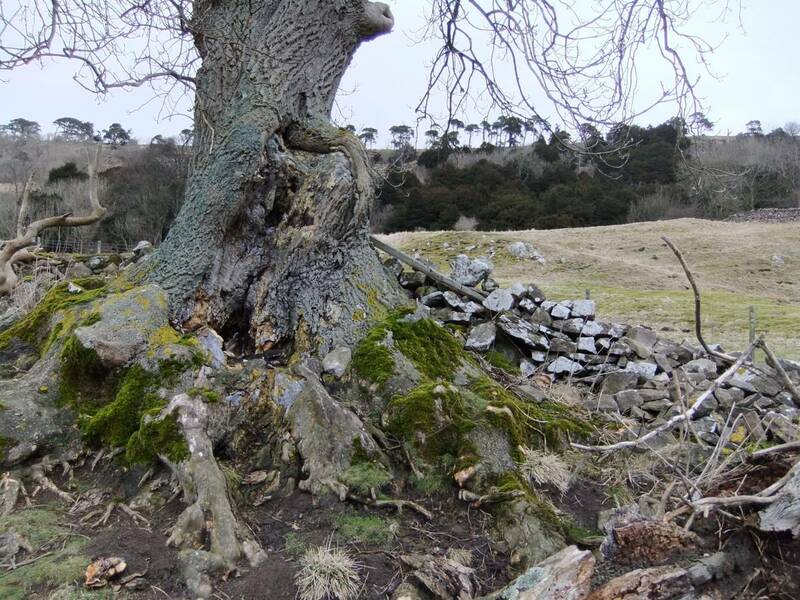 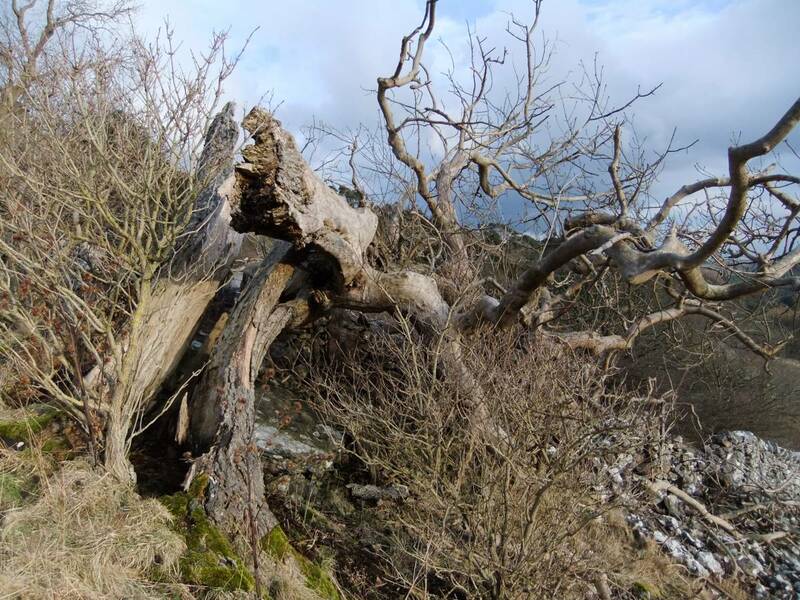 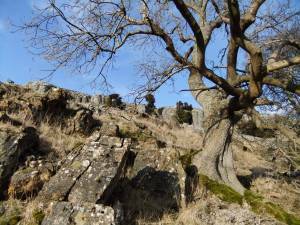 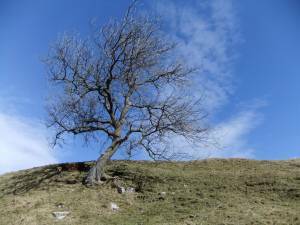 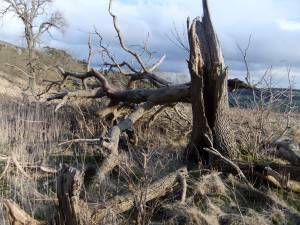 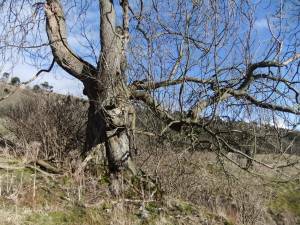 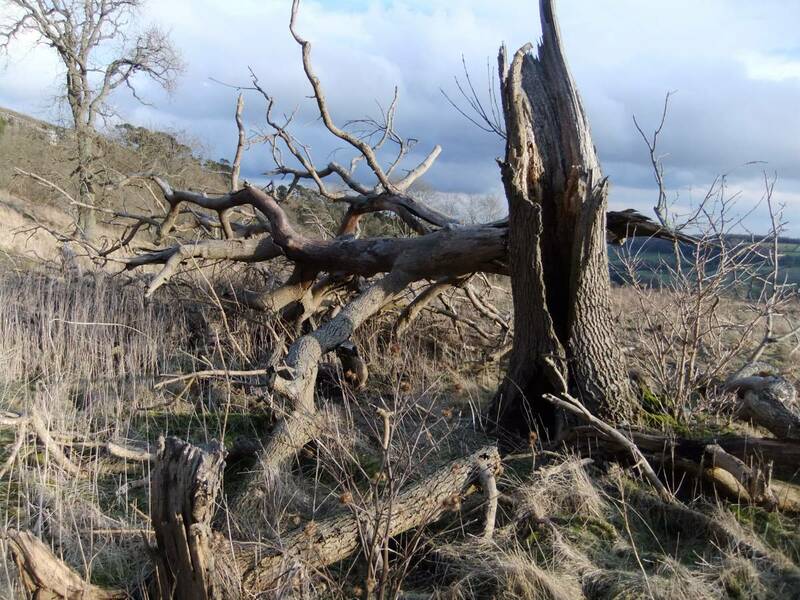 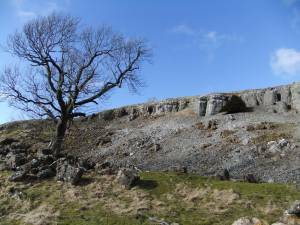 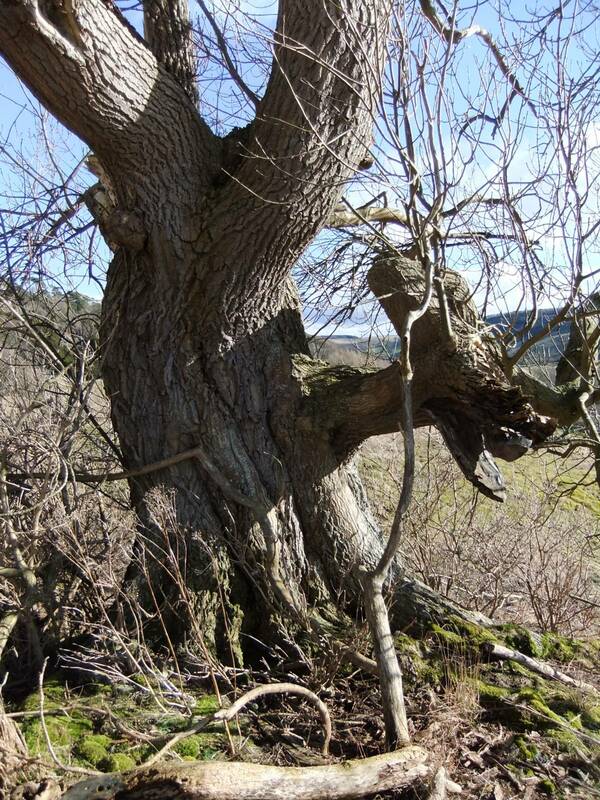 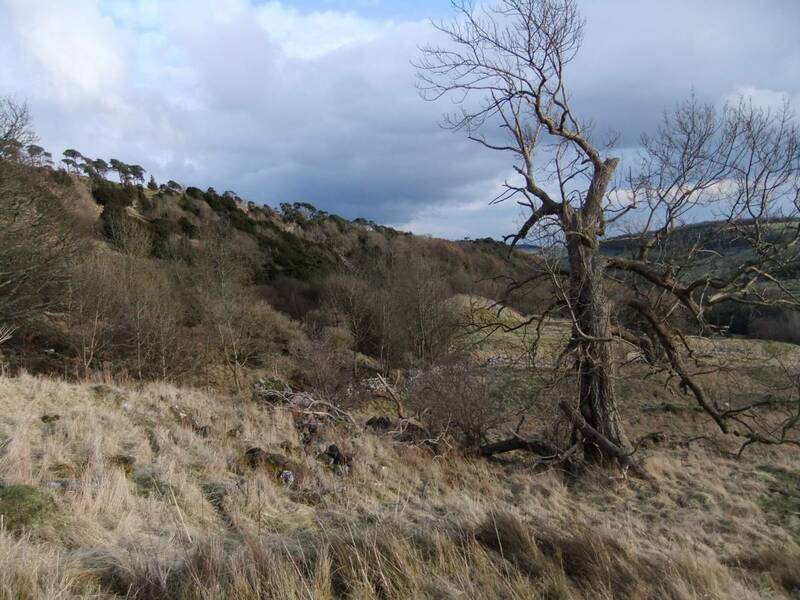 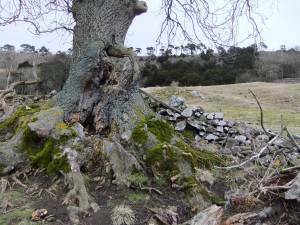 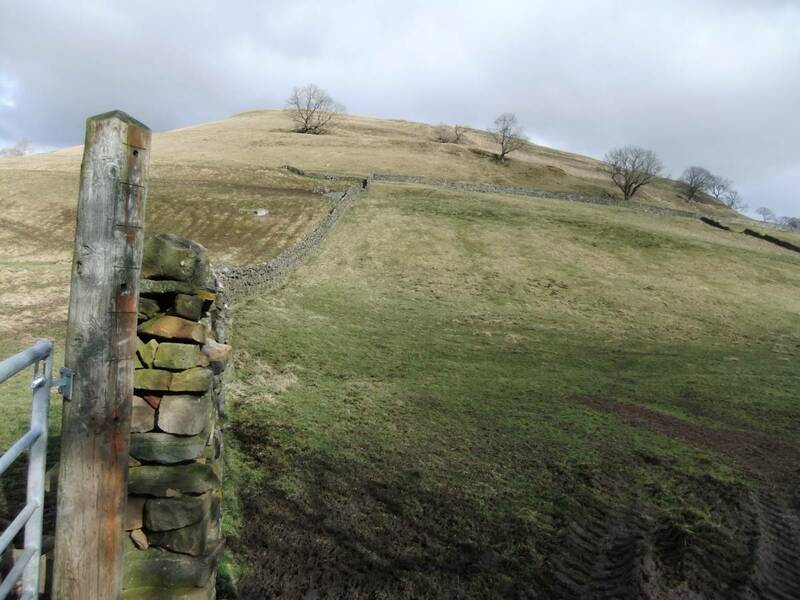 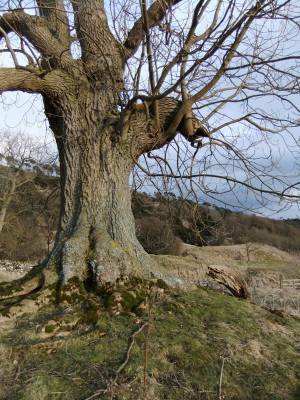 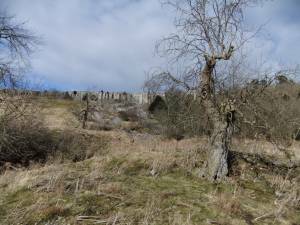 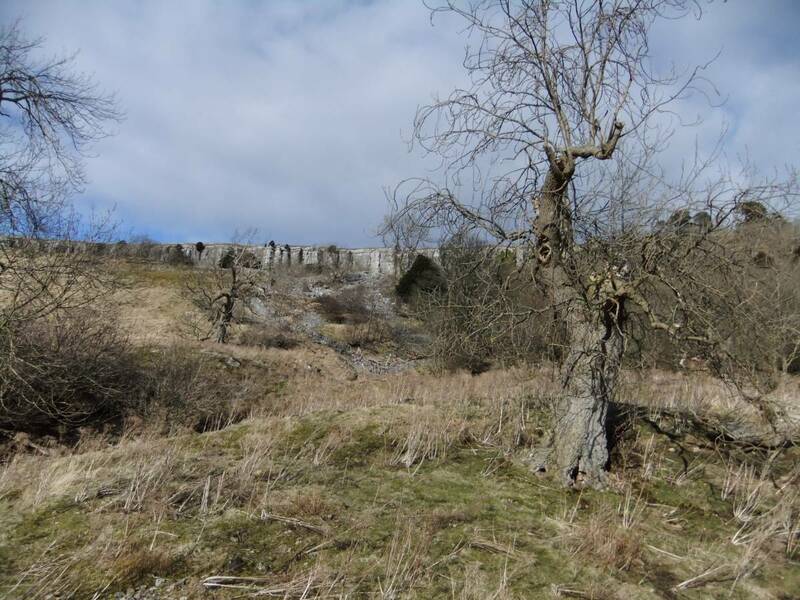 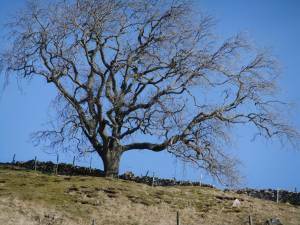 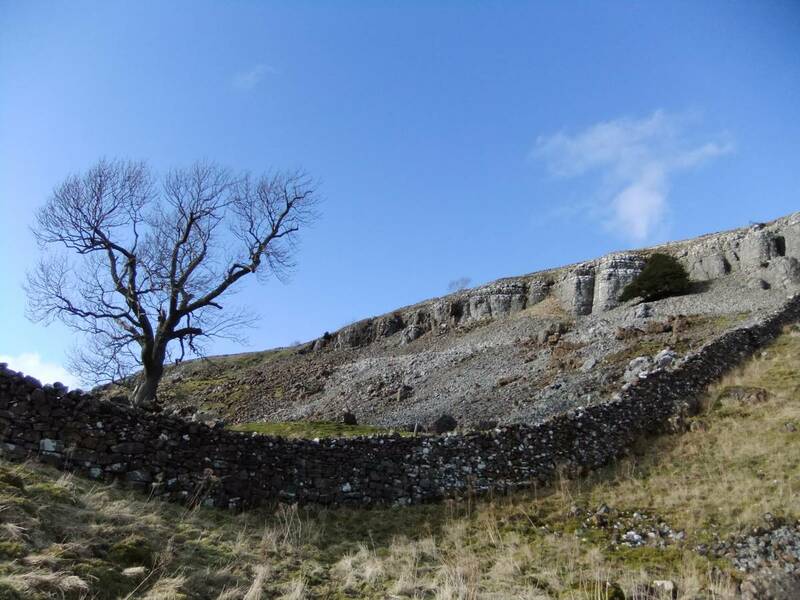 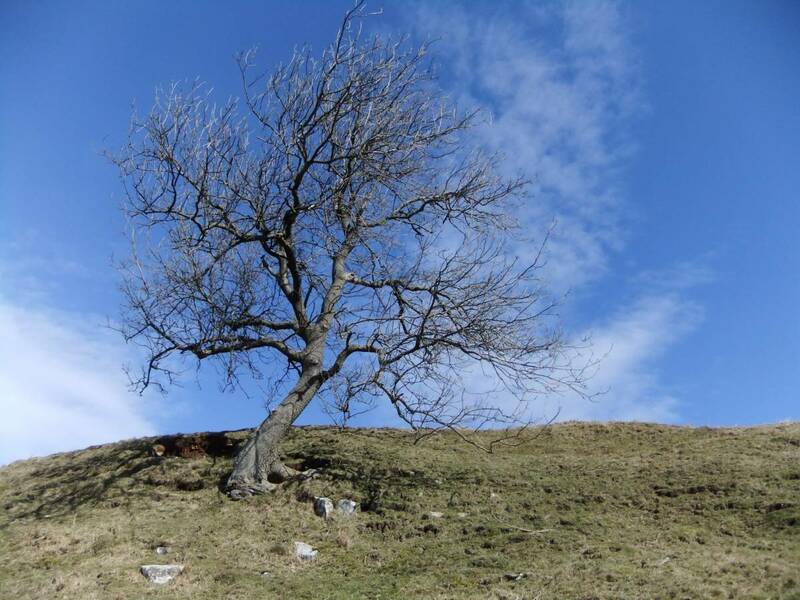 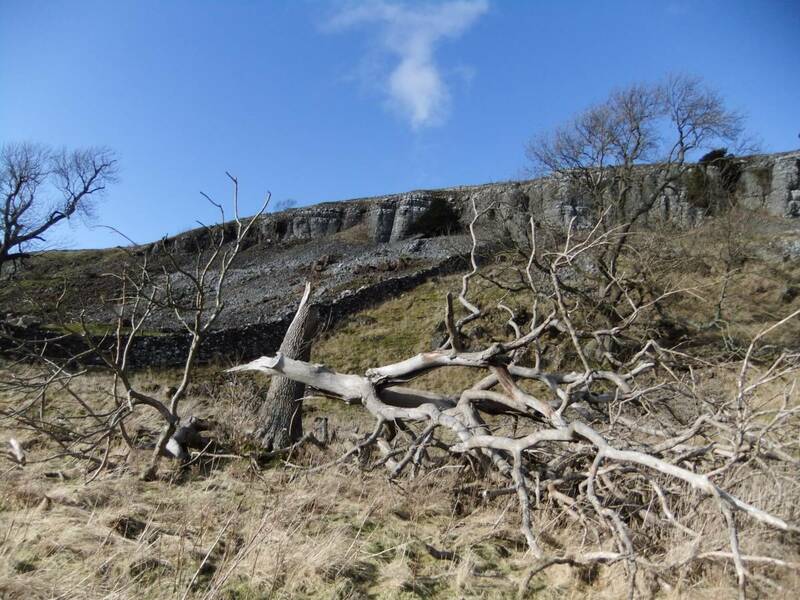 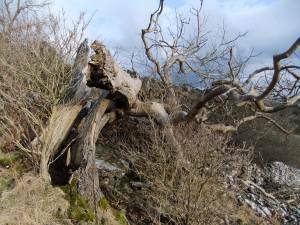 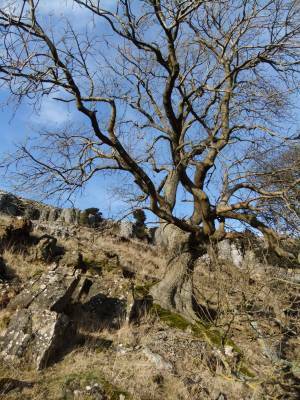 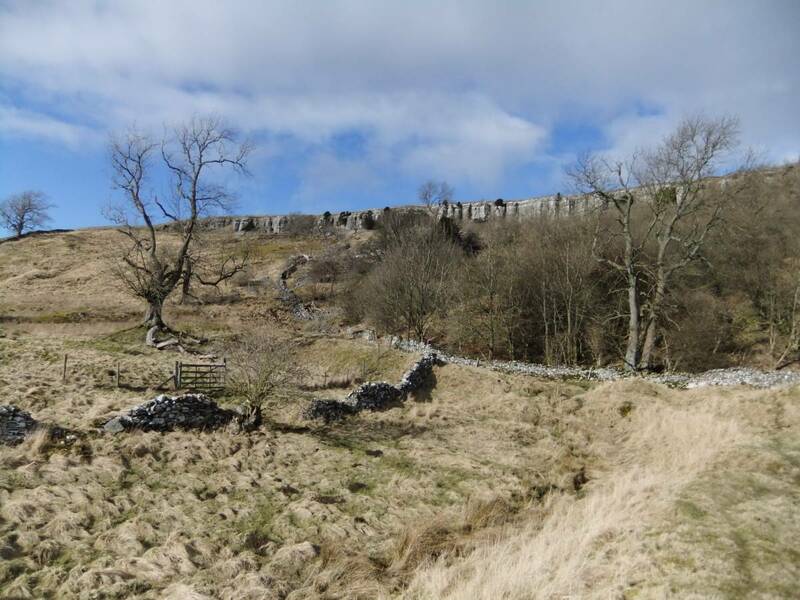 Ash die back disease may have the capacity to decimate all ash trees from the Dales Landscape. Accordingly photographs may soon be the only record of these trees. 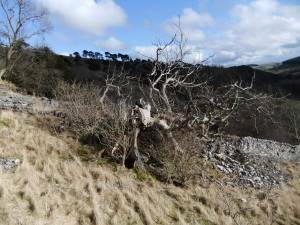 However, as the photographs of wind fallen trees show, the number of Mature Ash Trees on the Dale Sides has been diminishing every year. 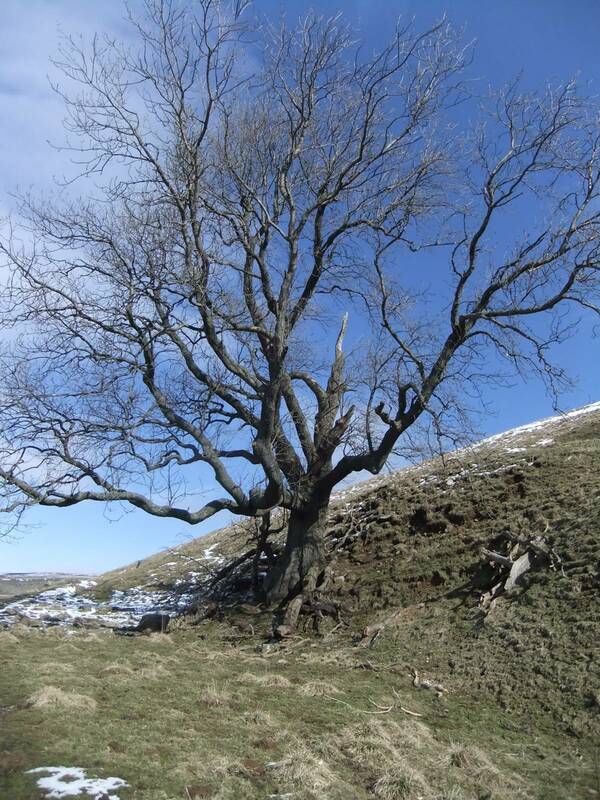 A number of fine ash trees are lost with every gale. 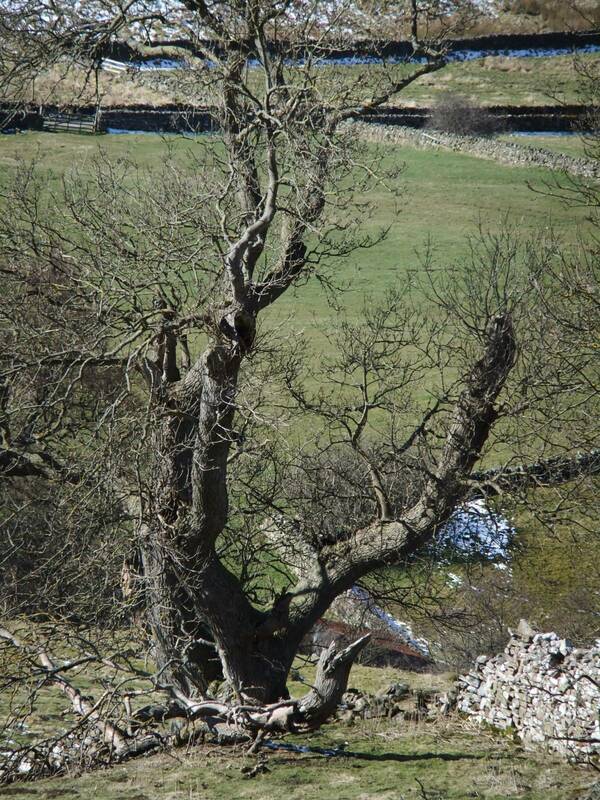 These mature trees cannot be replaced by plantation trees which will always look like plantations. 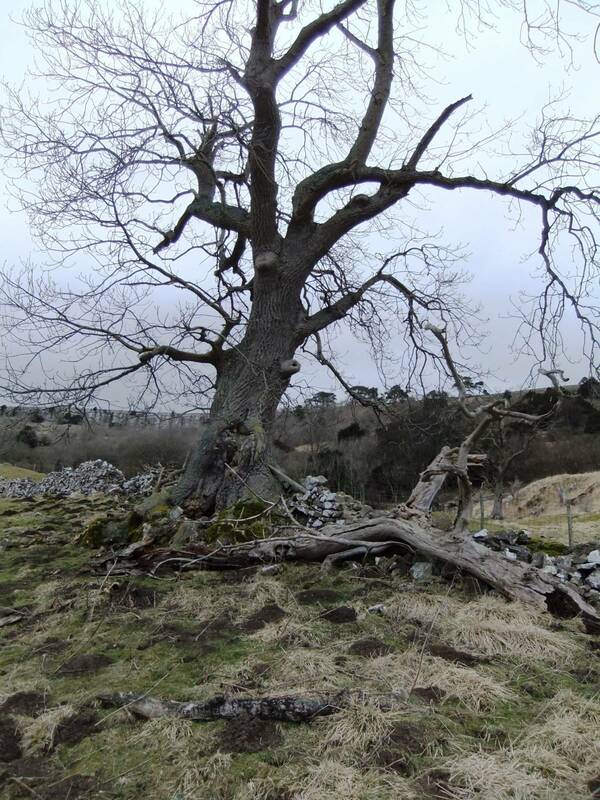 Plantation trees will enjoy or endure a different history to the trees present today which were within native woodland or managed as hedgerow trees. 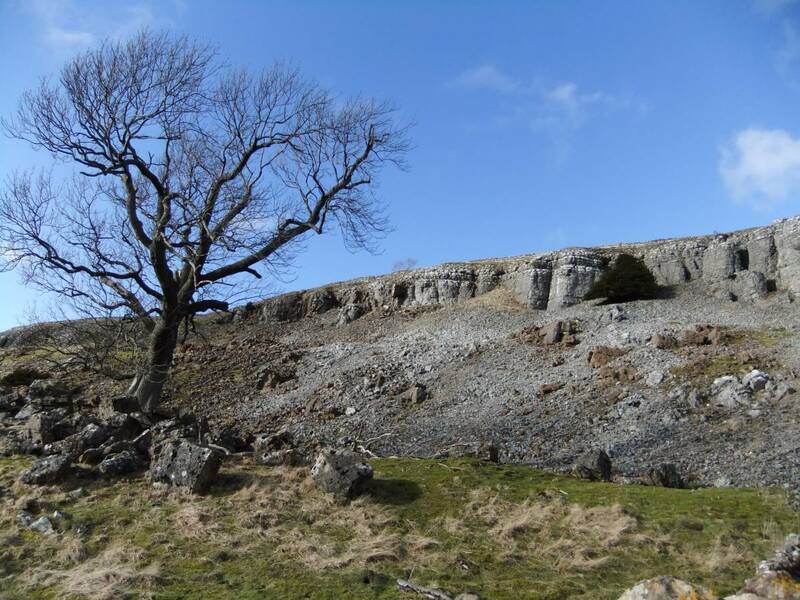 Image 1 Description Ash trees below Orgate Scar. 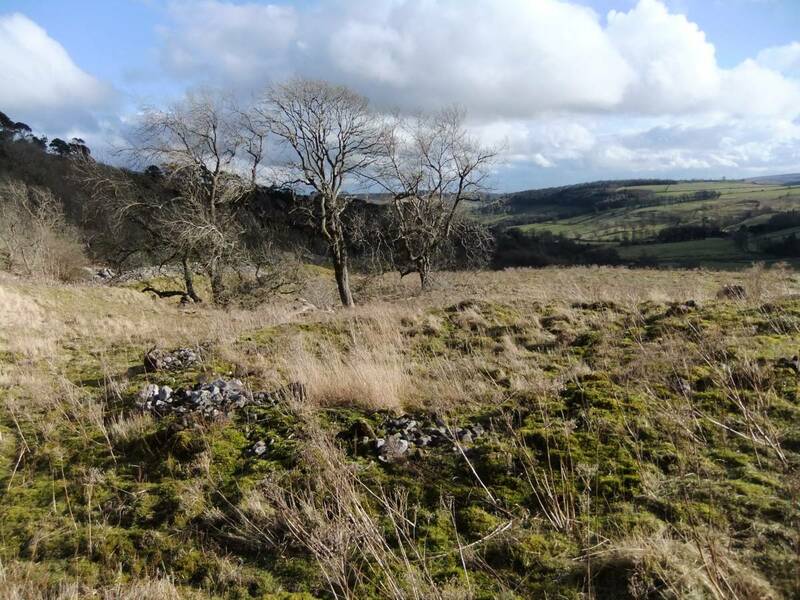 Prehistoric round house in foreground.